Starring: Daniel Day-Lewis (There Will Be Blood), Tommy Lee Jones (No Country for Old Men), Sally Field (The Amazing Spider-Man) and more. Rated: Rated PG-13 for intense war scene and language. Steven Spielberg presents his biopic of Abraham Lincoln that began to take form little by little all the way back in the late 1990’s after reading Lincoln biographer Doris Kearns Goodwin’s award-winning book “Team of Rivals.” With an all-star cast including Daniel-Day Lewis, Sally Field, Tommy Lee Jones and many, many more recognizable faces, Lincoln is a film that may yet see a few nominations come award season. (Hit the jump to read my thoughts). History is not only a hobby interest of mine, it is also what I studied in college to earn that piece of paper that affirms being in debt after five years of higher education and the induction into the era of searching for my “real job.” 😉 One of my favorite eras of study in the discipline of history always has been The American Civil War of 1861-1865 and the people of paramount importance during said conflict, among whom President Abraham Lincoln is chief. Upon learning about Spielberg’s project all about Abraham Lincoln, the history enthusiast inside of me only hoped that the film would be ever so deserving of my glee. I know, I know, I’m a nerd. Hey, the same could be said about those of you who go “ga-ga” over The Twilight Saga: Breaking Dawn pt 2 (My review to post NEXT). 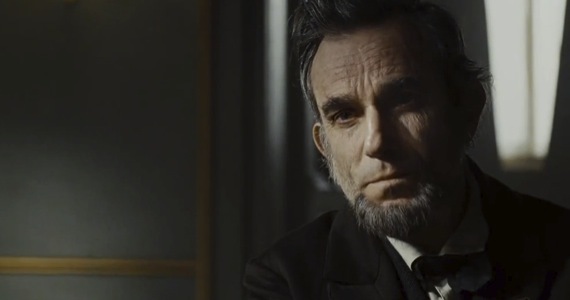 I enjoyed Lincoln and only wish that it would receive the attention from moviegoers that it rightly deserves. Though it is not Spielberg’s greatest, it is one of the best Spielberg films I’ve seen. He, along with Daniel Day-Lewis (of course) brought a greater humanity to the legend of Lincoln that has not been portrayed as eloquently ever before. (Major props to Day-Lewis). 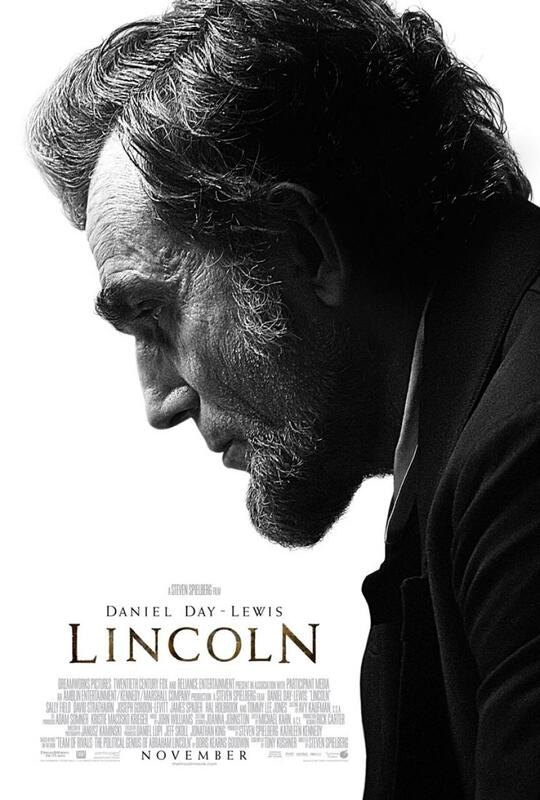 Along with an impressive cast, with a minor exception of a surprisingly nigh-unnecessary Joseph Gordon-Levitt as Lincoln’s older son Robert, Spielberg’s tribute to Abraham Lincoln is one that, I’m sure, will be shown in history classes as a staple educational tool in years to come. Admittedly, Lincoln is a different film than what I was expecting. If you are looking for a movie that deals with and shows numerous battle scenes, Gettysburg and Ford’s Theater, then perhaps you may be better off watching Glory, Gettysburg, and perhaps even Cold Mountain. It is more along the lines of Twelve Angry Men, Runaway Jury and The King’s Speech as it is mainly a battle of words and wit as opposed to bayonets and bullets as the main battlefield lies in the courtroom of deliberation and debate over the 13th Amendment which would ban slavery in the United States. The film also takes a large look at Abraham Lincoln the man, father, husband, president, gentle giant and passionate politician. And who better to play the part than 2-time Academy Award winner Daniel Day-Lewis? Spielberg apparently petitioned the rather reclusive method actor Daniel Day-Lewis quite a bit until Day-Lewis ran out of excuses to avoid the project. And I am so glad that Spielberg was persistent. Day-Lewis gives the best performance as Abraham Lincoln that is not only insightful and interesting, but also different in ways from many other screen editions of the 16th US President. 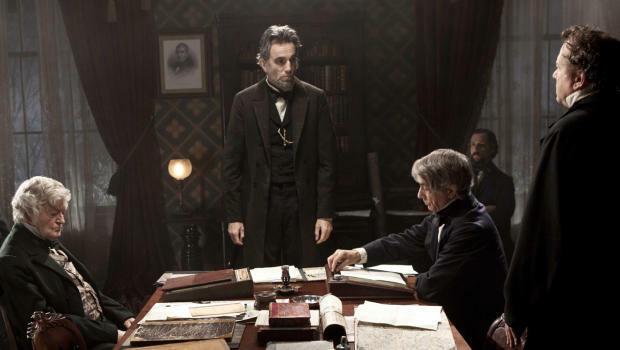 Spielberg’s bio-pic of Lincoln focuses on the last 4 months or so of the President’s life and the strains of office and the war are quite apparent as Day-Lewis impressively portrays a somewhat passive and yet still passionate President who sought to unify the country in a time that tried men’s souls. The rest of the cast is very impressive with Tommy Lee Jones and Sally Field leading the pack of the supporting roles. 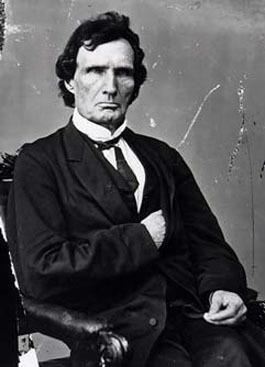 (Tommy Lee Jones is so great as Thaddeus Stevens, the Pennsylvanian Representative who fought for equality of mankind). The performances were amazing, and, while the story may be perceived as simple and mediocre, Spielberg does an excellent job at making a journey to an already known ending tense and engrossing. 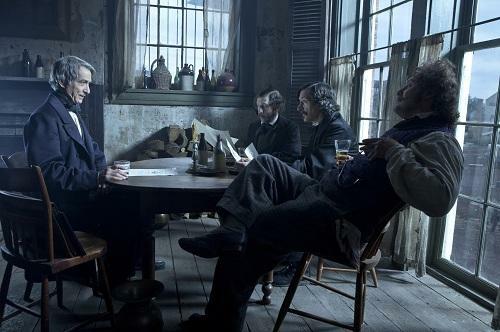 A great assembled cast with the likes of impressive method actor Daniel Day-Lewis leading the charge. (Also deserving of mention are James Spader, Kevin Kline, Gregory Itzin, David Oyelowo, Jared Harris and Dane DeHaan). Spielberg gives a different and truer Lincoln (appreciated by this historian) than I was expecting to see, and a different movie overall. I chuckled at how often Spielberg spends time showing the iconic profile and recognized silhouette of the 16th President in numerous camera pans and sequences. It made him come alive a bit more if you will. The rest of the camerawork is also worth noting as the time-period is shown with a tone that offers due respect to the scenes. Spielberg flirts with teasing audiences back and forth with reasons for the secession of the South and the war in general, which is fun to see as historians nowadays bicker back and forth about the cause of the Civil War being that of Slavery vs. States’ Rights. Interestingly, Spielberg who usually includes strong and sometimes overindulgent emotion-evoking musical scores, does indeed still use the same style, but sparingly as he often keeps the score silent and only in a few pivotal moments of the movie, thus allowing the focus to truly be on the words, performances and captivating scenes. I do, however, love the score from Oscar-winner John Williams and take nothing away from its beauty. (Listen to the entire soundtrack HERE). The film stays pretty true to its title because it is about Lincoln (and mainly 1 month of his life) with the Civil War as the backdrop as opposed to the reverse. With a beginning that gave me chills watching the war sequences and the restating of the Gettysburg Address that was so moving, Spielberg very quickly shares the importance of the events that would follow during the course of the movie. Yes, it is a bit long and could have ended with the passing of the 13th Amendment which is what Lincoln is fighting for in the entire film. (That’s not a spoiler, folks…read your history books, the 13th Amendment DID pass!) A moment that indeed also gives chills of triumph, joy, and victory! 😀 But the movie continues on to a second ending that, while known to every school child it seems, was unnecessary. Overall I liked the movie, but not as much as the performances. They truly are what make Lincoln shine. This may just be the performance that lands Daniel Day-Lewis his third Academy Award for Best Actor in a Leading Role. 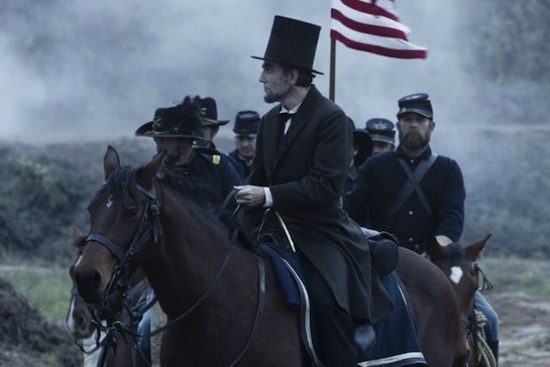 History fans, biopic fans, Lincoln fans and “Good Movie fans” alike, please, go see Lincoln. I saw this today and also thought the performances were top-notch. I thought Tommy Lee Jones completely stole the movie, but Daniel Day-Lewis also did a wonderful job. 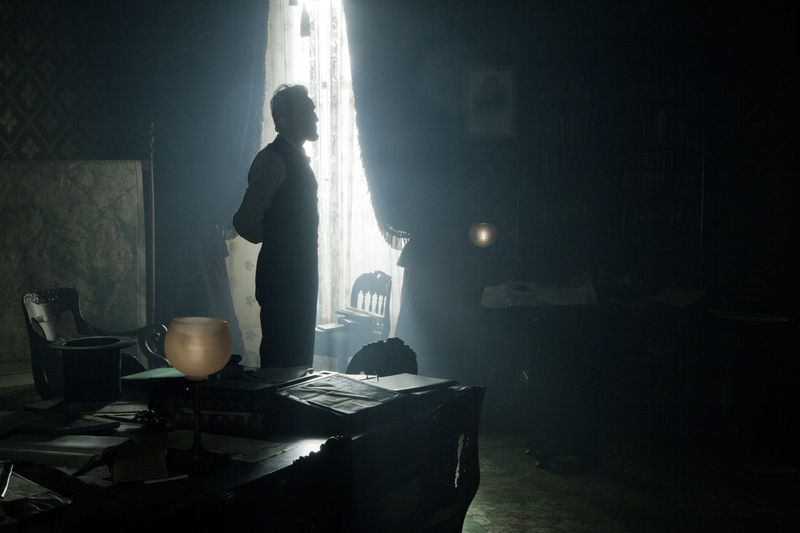 I appreciate the fact that the script showcases many sides of Lincoln, as well: his wit, his book smarts, his storytelling and his seriousness. The film did a great job of bringing him to life as a human being rather than just a familiar, iconic historical figure. Hi Lindsey. thanks for checking out my review and commenting. you are so right. 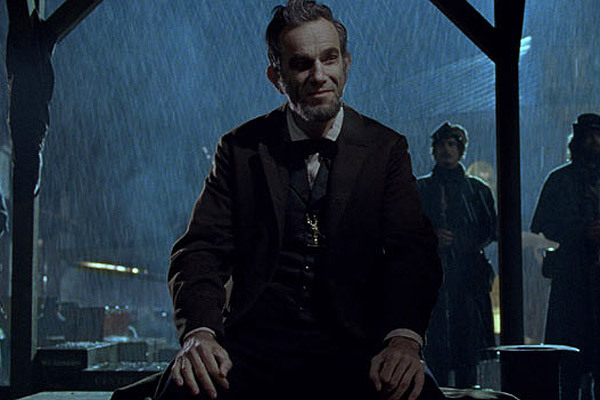 the film did a fantastic job in bringing Lincoln to life as a human being and not just an icon. So well done. I must be sure to check out your review here soon. What were your thoughts on Joseph Gordon-Levitt? I didn’t think he was bad, just that he wasn’t that necessary. I’m usually a fan of him but I definitely agree that he was unnecessary. I didn’t find him buy-able as Day-Lewis’ son, mostly because there was such a lack of tension between them. The level of tension should have been high considering their college vs. military argument. I don’t think it helped him, either, that everyone else was so phenomenal in their roles – he was out shined by the rest of the cast. Glad this is worth seeing. Looking forward to it hitting UK shores. Definitely, Dan. I hope you get to see it soon. Any idea as to when it will be there? YAY, for nerds!! I loved it! It def is one of the best of the year. and it’s a good feeling when you leave a movie and can talk favorably about every aspect of it. Thank you, Nov. I took my time writing it and am glad you appreciate it. I saw LINCOLN and went to IMDB to examine the cast where I found Kevin Kline, whom I could not remember being in the movie. IMDB says he played “wounded soldier”. Curious, I did a Google search for “Kevin Kline Spielberg’s Lincoln” and found your review where you single him out as one “deserving of mention”. Where was he and what did he do? Thanks. Hi Ed. Thank you for commenting. I mentioned him specifically not because of his fantastic performance, but, because his cameo is so quick that if you are not looking for him, you will miss him. He is a wounded soldier in room full of amputees and is easy to miss. I hope that helps. There’s not much else to say because there’s not much else that happens. when watching the movie it reminded me a little bit of Amazing Grace on about freeing slaves, but still it was everything that I was looking for and now I want to read the book that this film was based around. I loved the movie and it’s a film I would gladly put next to other Spielberg films. ooh, read the book for sure and let me know how it compares. I am glad you enjoyed Lincoln. Thanks for taking the time to read and comment.